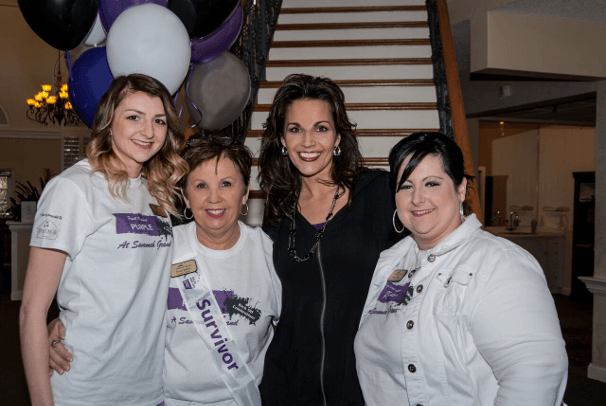 Savannah Grand of Amelia Island in Fernandina Beach, Florida, recently hosted a Relay for Life Kick Off celebration in support of the American Cancer Society. Relay for Life raises much-needed funds and awareness to support life-saving treatment and research for those with cancer. More than 4 million people in over 20 countries are now participating in the movement. We were honored to host this important event designed for participants and survivors to celebrate what they've overcome. We partnered with local organizations Angel Watch Home Health, Community Hospice, Wells Fargo, Quality Health, Nurse On Call Home Health, Vitas Health Care and Brooks AmeriCare Home Health to make this a fun, uplifting, and informative event for the local community. We were joined by motivational speaker and author of Get Over Yourself: 7 Principles to Get Over Your Past and On With Your Purpose, Jennifer Beckham. At Senior Living Management, we believe in working together to increase the quality of life for seniors and their loved ones and wish you and yours continued health and happiness.